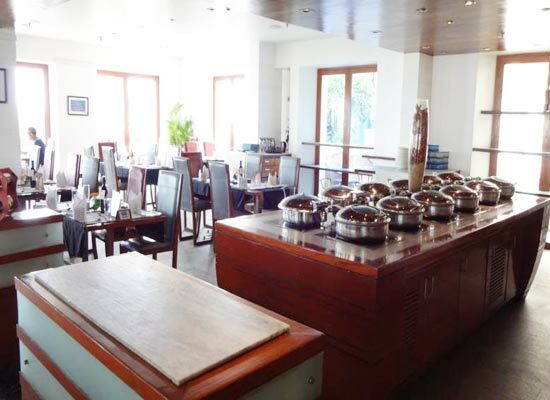 "The Hotel Promenade is a preferred holiday resort when visiting the state of Tamil Nadu. 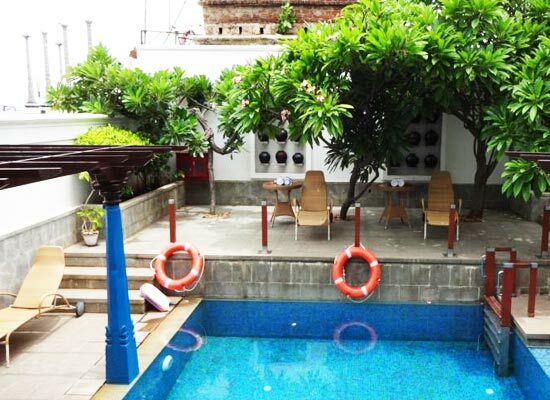 The hotel is surrounded by the captivating Bay of Bengal and hence a stay in this hotel is truly mesmerizing. The 5-star hotel serves guest with luxurious surprises and top quality facilities at every corner. The hotel is designed according to the modern art patterns of French. There are a total of 38 guest rooms in the hotel. 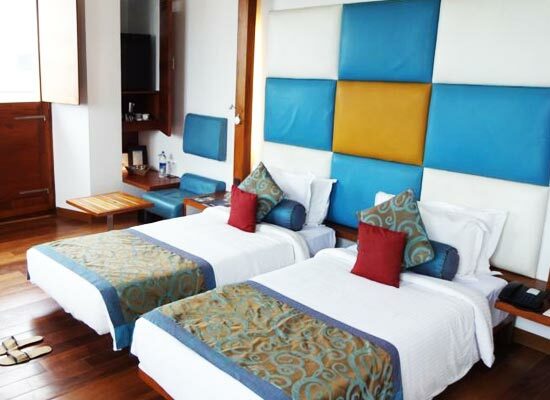 All the rooms have opulent interiors with stylishly fabricated carpets and wooden floorings. The views of Bay of Bengal from all the rooms are simply exotic. 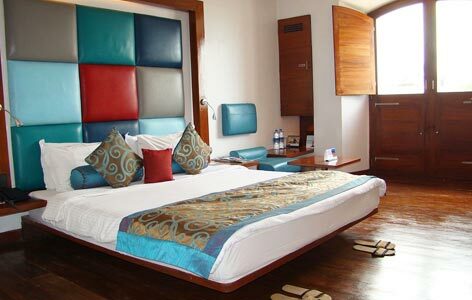 Guests do not feel shortage of any kind of requirement as all amenities are made available in the rooms. The rooms are divided into 1 Light House Suite, 1 Presidential Suite, 8 Deluxe, 1 Promenade Suite, 1 Governor's Suite and26 Deluxe Rooms. 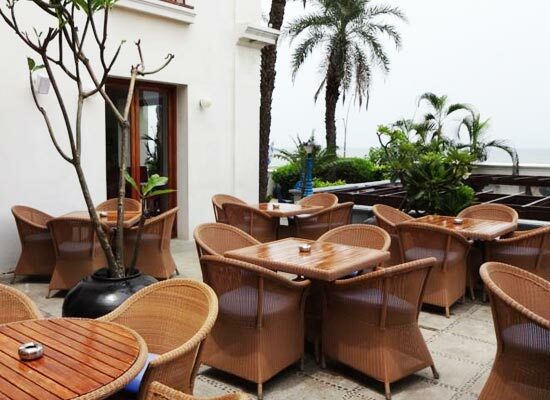 Lighthouse: This restaurant is located on the rooftop and offers gorgeous views along with barbequed and grill seafood. Blueline: This multi-cuisine restaurant specializes in Mediterranean and Oriental cuisines. Risque:For having best exotic alcoholic and non-alcoholic beverages, the guests at this hotel head to this restaurant. Pondicherry, in Kerala, is a potpourri of French and Tamil cultures and heritage. The town is divided into two sections: French colony and Tamil Colony. Tourists come here to enjoy amidst the serene backwaters and beaches in Pondicherry which makes their holidays in South India ultra-special. The city is situated far away from the tensions and dullness of city and its secluded location makes it a personal favorite destination for honeymooners. Wealthiest Ashram in India, Sri Aurobindo Ashram is one of the most famous and most-visited tourist attractions in the town of Pondicherry.